Good news for James Bond 007 fans! The Muvi Micro DV Cam is tiny enough for your small pockets, which the manufacturer claims as the smallest DV camera in the world, featuring 2 megapixel camera lens that able to record 640 x 480 resolution video at 30 frames per second to Micro SD memory card. 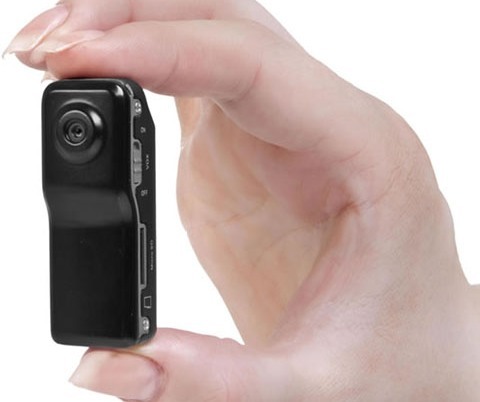 The Muvi Micro DV cam which measures just 5.5 x 2 x 1.6cm is now available for around £80.